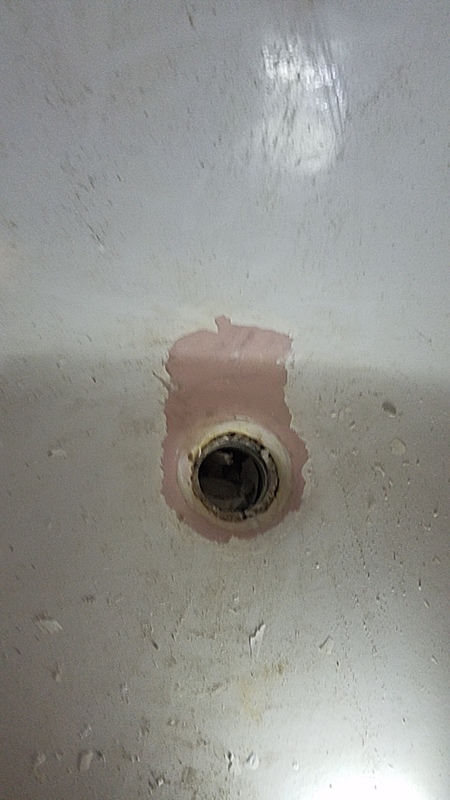 Most often when a customer calls i ask them if it has been done before? 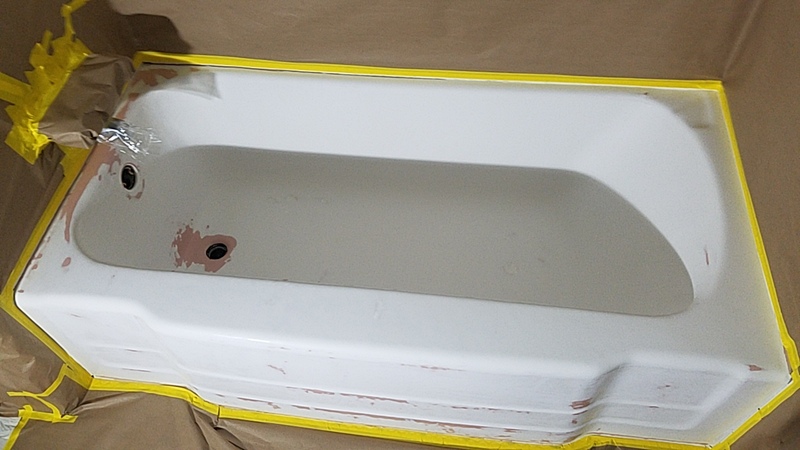 The sad truth is that in tub refinishing, we are finding more and more customers have paid to have a tub refinished but the yield is only about 5 yrs! If done correctly a tub should go beyond 10 yrs and even then,it should never peel! So when my product hits the old surface it wrinkles the previous finish up. I typically will ask the customer which direction to go. I can do some test to see if it will lift the troubled finish, if it does not, only then can i safely refinish on top of the old. 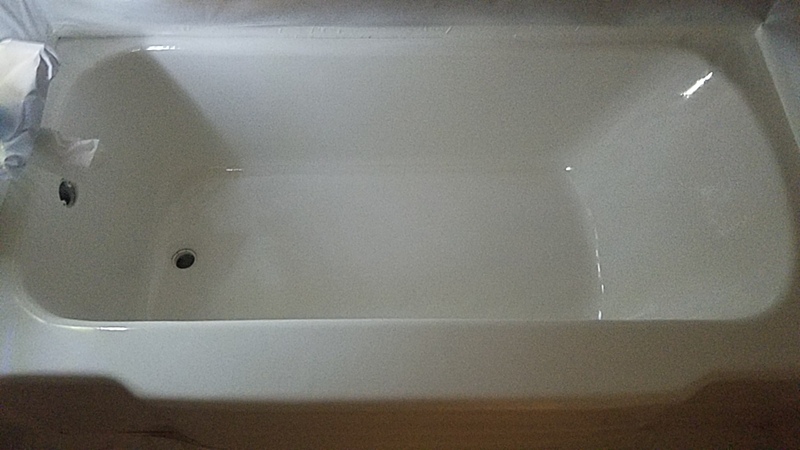 This tub did not lift so customer decided that it was ok to go on top of old finish. This consist of cleaning and dulling to ensure adhesion and working more on the spots where the old came up. Te must make sure where the old came up, it lays down after accepting our product.